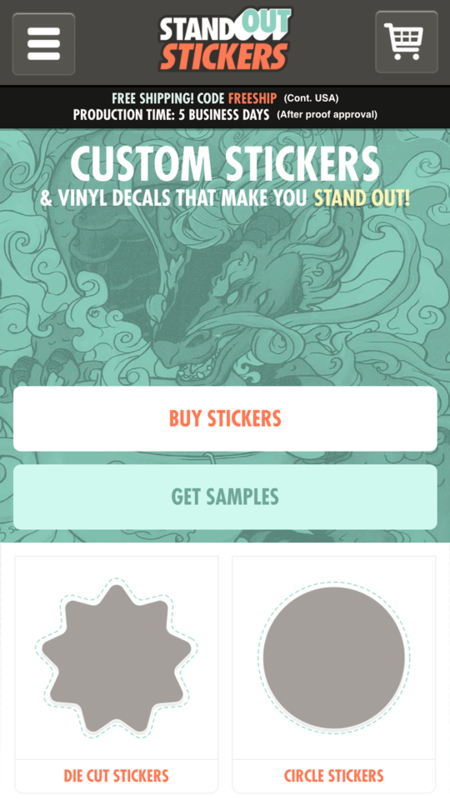 I’ve been honored to provide all web design, print design and art direction for StandOut Stickers for years, and offer my entire skill set to create branding and promotional materials for this sticker printer that is quickly becoming one of the top custom stickers companies in the world. This responsive website features an in-browser art tool, a blog, hundreds of product photos and is constantly evolving as we aggressively enhance SEO. I have been the Art & Marketing Director of PureButtons.com and StandOutStickers.com since 2011, but have worked with the companies as their primary graphic designer since their creation dating back to 2005. My duties involve all web design, branding, marketing designs and ideas, website SEO and conversion optimization, product photography and so much more. Everything you see, from the visuals to the responsive layout html/css is crafted by PaleBird. This site is built on a custom e-commerce platform by Insyte, a Cleveland-area developer whom I have the pleasure of collaborating with on this website. 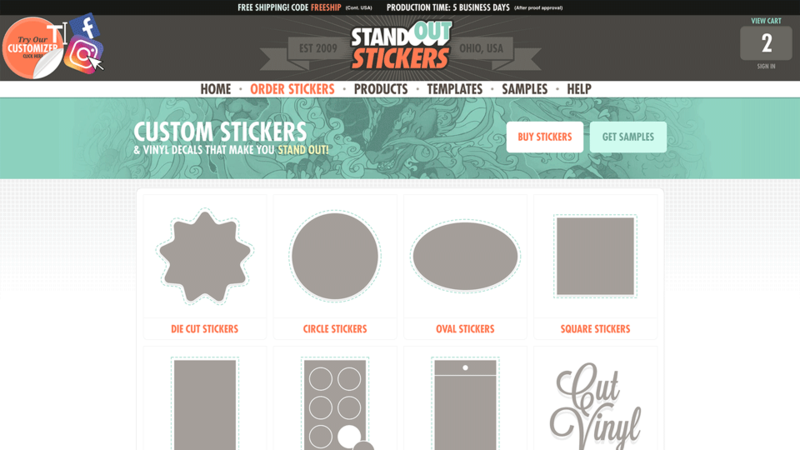 The StandOut Stickers Blog is built on WordPress.